Chill out and enjoy a cold one. 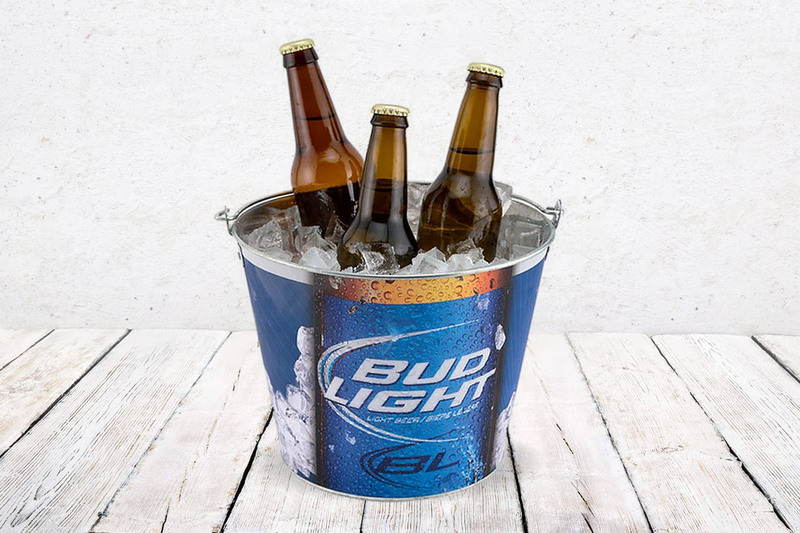 We provide a vast selection of 5L ice buckets, which come in ABS plastic or metal styles that can be custom printed to match any brand or logo. We offer multiple colours including translucent options that allow your beer to remain cool while visibly promoting the brand. Suitable carry options are also available for easy transport. Our ice buckets are available in a variety of styles and materials which can be either custom printed, fully sublimated or engraved. We also provide a wide range of coloured translucent options to suit any unique brand request.